Gene Kloss was born Alice Geneva Glasier in 1903, in Oakland, California. At that time, the area was still uncluttered by billboards, lights, and bridges, but oaks still grew around the city. Kloss graduated from Berkeley in 1924. 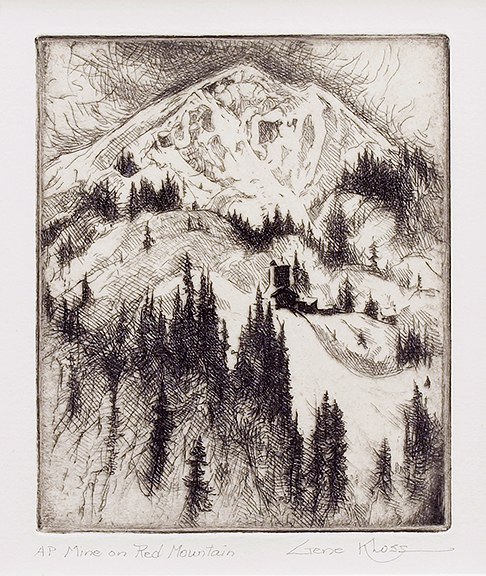 Her instructor, Perham Nahl, was astonished by her first print, and predicted that she would be an etcher. She continued to study at the San Francisco School of Fine Arts, and in 1925, married Phillips Kloss, a writer. She changed her name, for simplicity, and because she believed that a less feminine name would serve her better in the art world. The couple ventured west on their honeymoon. They entered New Mexico at sunset, and fell in love with the bare, beautiful, vast landscape. From that day forth, Gene Kloss said she considered herself a New Mexican. The couple established dual residence in Berkeley and Taos, and commuted each year. 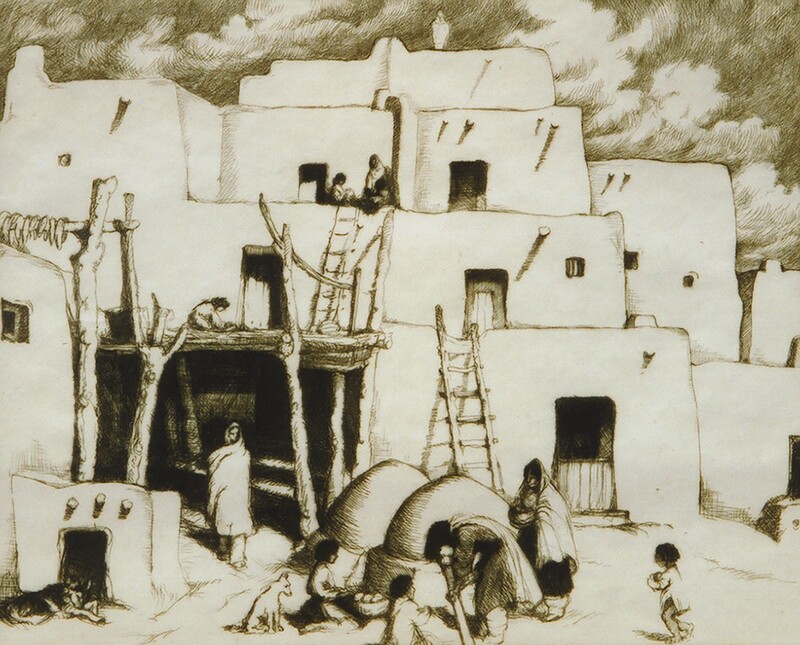 In Taos, they rented an old adobe house for ten dollars a month, for a decade. They cooked on a wood-burning stove, and carried water from a spring, a mile up the canyon. 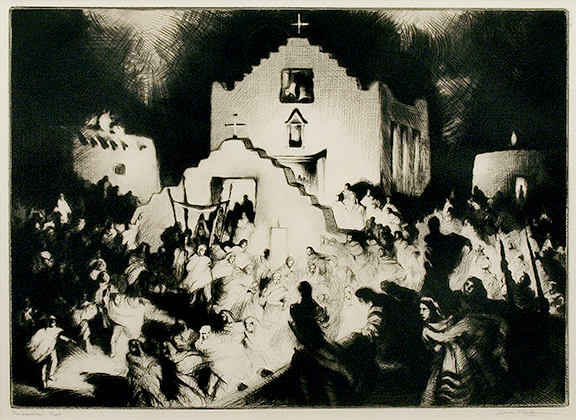 In the desert, Gene Kloss made prints with a secondhand Sturges etching press, weighing 1,200 pounds. The couple kept their residence in California to care for their elderly mothers. When their two mothers died in 1965, they moved to Colorado, with the press in tow. They bought four acres above the Gunnison river. Eventually, due to allergies and gnats, they returned to their final home in Taos. Kloss was not concerned with trends, or the financial value of art. Instead, she focused on creating beautiful depictions of the scenes she loved. 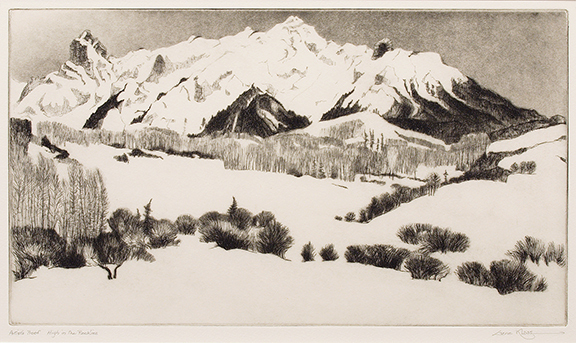 She was an accomplished oil and watercolor painter, but her prints defined her career. Southwestern scenes, particularly of New Mexico, are common. Her work often contains a hidden light source, with long, sinewy shadows. 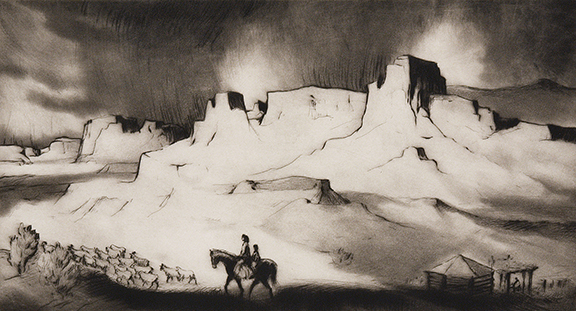 Her etchings are unique and dramatic, containing high contrast as well as subtlety. During her 60 year career, Kloss created more than 600 prints. 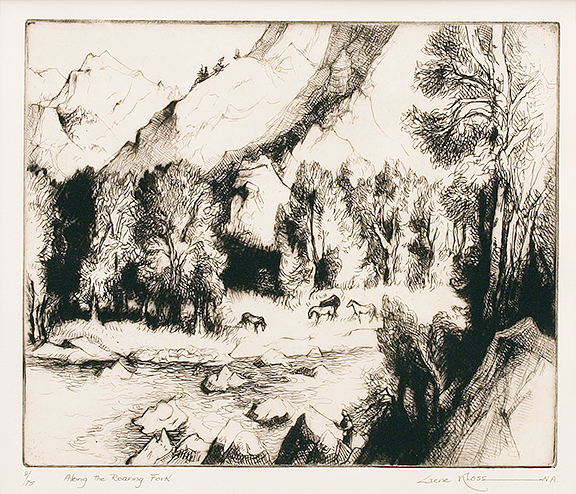 Kloss is considered one of the most important artists of her time, as well as one of the major printmakers of the 20th century. Her work is found in many permanent collections, including the Metropolitan Museum, the Library of Congress, the Smithsonian, and the Carnegie Institute. Source: Kloss, Phillips, Gene Kloss Etchings. Santa Fe: Sunstone Press, 2000.